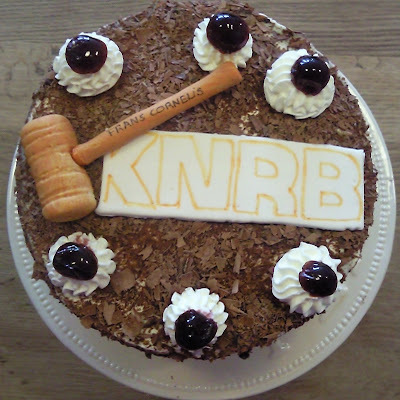 Special order this weekend for the new elected chairman of the dutch rowing association. 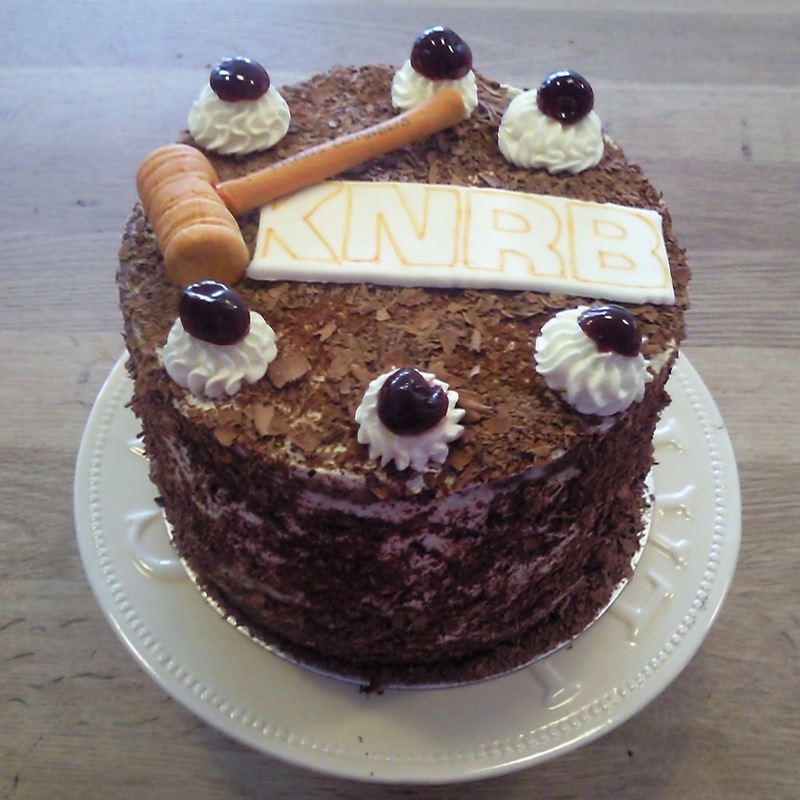 Flavor of the day: a 4 layer cake, half chocolate, half vanilla, with mascarpone-whipped cream filling and cherries. 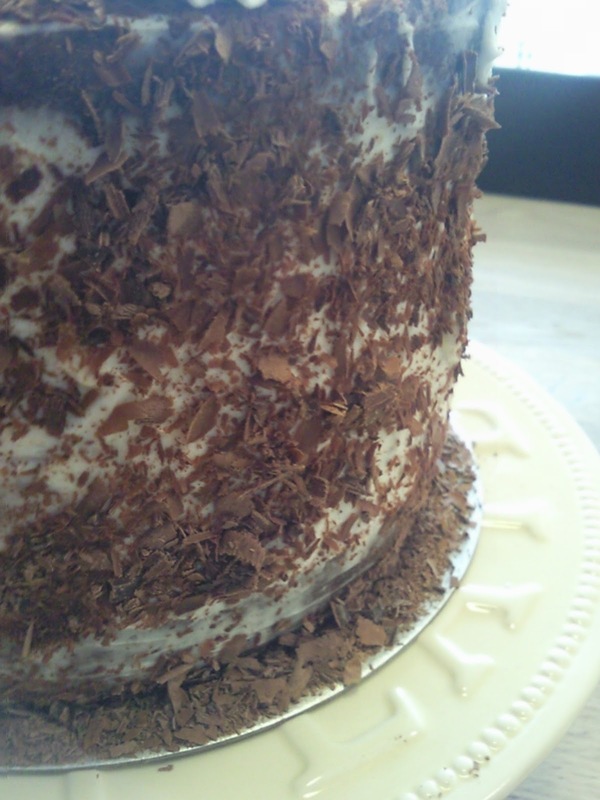 Decorated with chocolate shavings. One big tasty cake ! I finally decided to make some savory cupcakes. 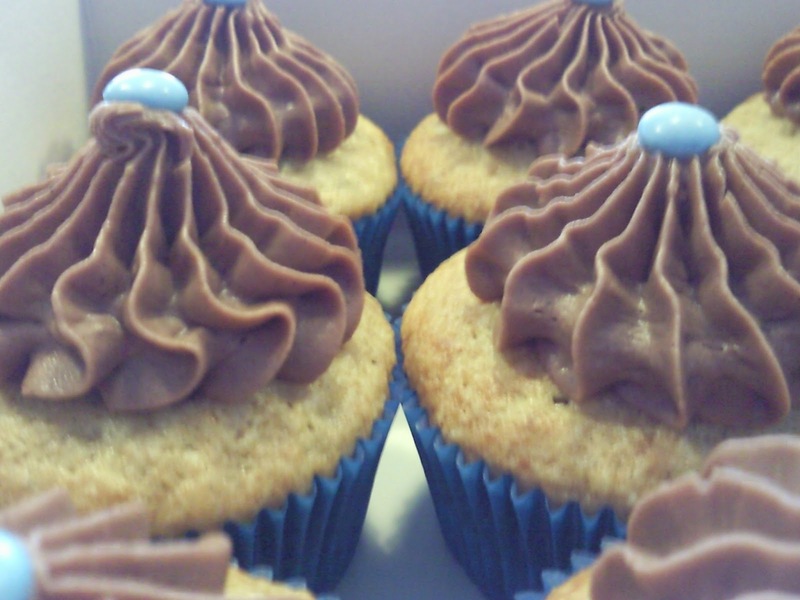 To me a cupcake is linked to sweet and the thought of making and eating savory one, never had much appeal. But the ones I found on Laura’s Bakery looked very tempting, so I went for it. And I was not disappointed. Still found it strange to put sugar in the batter, and you did taste the sweetness, but the melted mozzarella had the upperhand. Since the urge came rather suddenly, I had to make the pesto for the topping. Preheat the oven to 180°. Line your mini-cupcake pan with paper liners. Sift the flour and baking powder into a bowl. Wisk and add the sugar and the salt. In another bowl, mix the eggs, the milk and the olive oil. Add the two mixtures together and mix until smooth. Add the chopped mozzarella and the pine nuts. Scoop the batter in the paper liners (three quarters full) and bake for approximately 12 minutes until tender and golden brown. While the cupcakes are in the oven you can make the topping. Place the softened butter in a bowl and beat it lightly. When the butter is light add the cream cheese in portions and mix well. Add the pesto and some chopped fresh basil Season to your liking with salt and pepper. You can either pipe or spoon the topping unto your cooled minicupcakes. Garnish with basil leaves and half a little cherry tomato. Toast the pine nuts in a frying pan without oil or butter for 3 minutes until golden. Cool completely on a plate, otherwise the pesto too oily. Grind the pine nuts, cheese and garlic in a food fine. Add the basil and oil and grind briefly to pesto. Add salt and pepper. Put the pesto, if not using directly into a lean jar with a thin layer of oil. Unopened it will keep upto two months. Opened, make sure you finish it within a week. As we had the cake for dessert, I decided not to ice it all over. I spread a cream cheese lemon icing between the layers and some on top of the cake. Preheat the oven to 180° and line the 4 sandwich tins with baking parchment. Using a handheld electric whisk or a freestanding electric mixer with the paddle attachment, mix together the carrots, root ginger, buttermilk, vanilla extract, vegetable oil and sugar until all the ingredients are well combined. Sift together the flour, baking powder, bicarbonate of soda, salt and ground spices, then slowly beat this into the egg and carrot mixture, adding the dry ingredients in three batches. Mix well after each addition, scraping down the sides of the bowl to pick to pick up any ingredients that may have got stuck there. Stir in the chopped pecans and mix the cake batter until it is smooth and even. Divide the batter between the four prepared sandwich tins and bake for approximately 30 minutes or until the top of each sponge bounces back when lightly pressed. Allow the cakes to cool completely, on a wire rack while you make the frosting. Bananas are back with a second recipe. This one is from the new Hummingbird Bakery book “Home Sweet Home. Being a true Hummingbird fan, I have had it in my possession since the day it came out. I replace the Brazil nuts by pecan nuts. Will definitely redo the original recipe since the loaf was a big hit! No recipe here for this lovely loaf. You’ll just have to buy the book ! 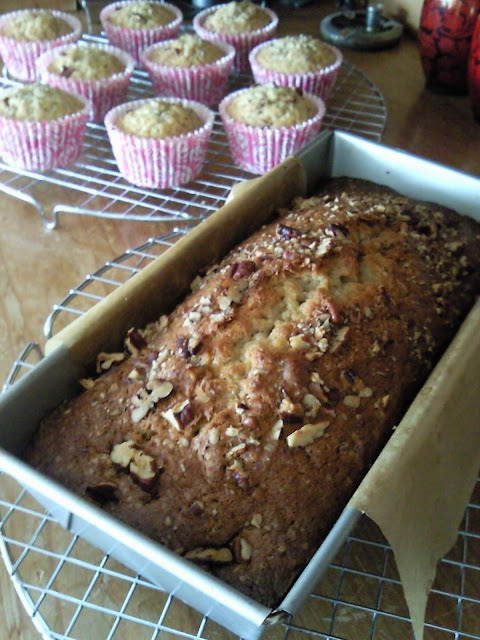 The banana brazil nut loaf is the second recipe from this book I have tried. The first one was the lemon cake which I never tasted since I made it for an order. I have been told it was gorgeous. So go on and buy Home Sweet Home. Last Thursday I left work with a bagful of frozen bananas. They were a gift from the chefs in canteen. The week before just before the weekend, I had noticed some very ripe bananas on the stand. 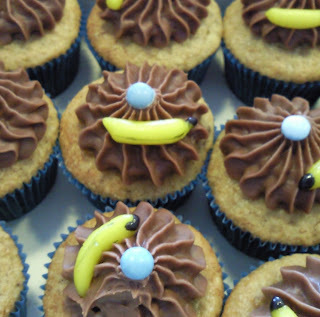 I made a deal: freeze the bananas for me and I’ll bake you some goodies. So on the first day of my extended weekend I started by baking some cupcakes. I had a look at Alisa’s recipe for a banana cake (Happy Gâteau, editions Marabout) and decided it could easily be used for cupcakes. Preheat oven to 180°C. Line a muffin tin with paper cupcake liners. In another bowl combine all dry ingredients. On medium speed add the butter one piece at the time and half of the banana mixture. Mix well at medium speed for about 2 minutes until the batter is smooth. Scrape down the sides of the bowl and add the remaining banana mixture. With the help of an ice cream scoop, divide the batter in the cupcakes liners. These cupcakes are very smooth and tasty and the combination with the left over Chocolate cream cheese in the freezer worked to perfection. 2 bananas down, 11 to go… more to come !